I doubt many arriving to watch the semi-final between England and South Africa yesterday in Bristol expected the character of the match to be as history can now attest. South Africa must have realistically thought of themselves as the underdogs and no doubt the majority of the crowd felt the same, simply hoping for no kind of upset. South Africa, however, were not prepared to stick to the script. 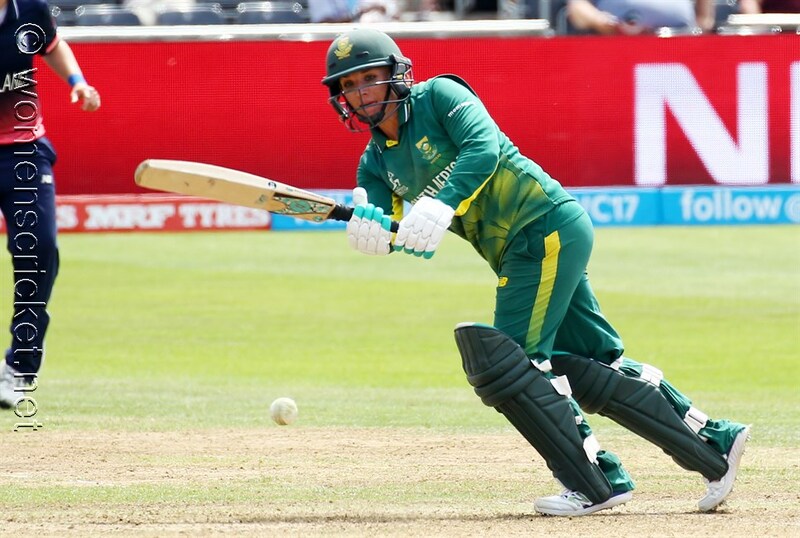 Winning the toss and batting, Wolvaardt showed why she is becoming not just one of the leading batsmen in South Africa but one of the best batsmen in the sport worldwide. In an inning mature beyond her years she steadied the South African cause as both Lee and Chetty fell early. 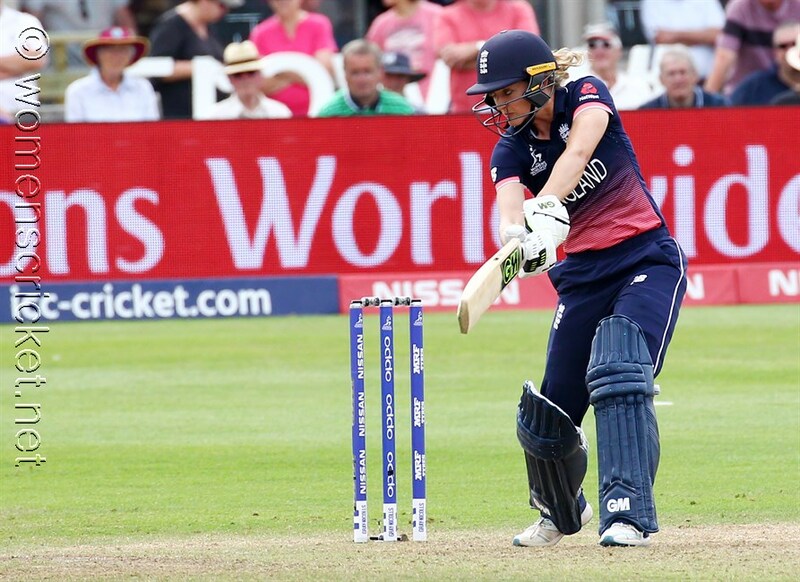 She was later to take a fine catch to dismiss the England captain. illustrating not just her ability with bat in hand but, despite her statement "I don't bowl" that she is a fine all-round cricketer. When she finally departed in the 32nd over for 66 the bedrock of a good total had been set. It had been her 4th 50+ score of the tournament. 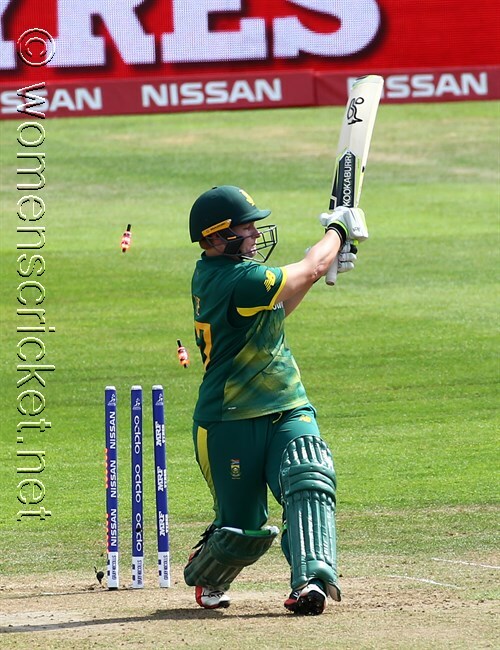 Desite a valiant 76 from 95 balls from former skipper du Preez and a cameo 27 from new captain van Niekerk, some too adventurous running saw the end of two batsmen and du Preez was finally left high and dry with the score on a mere 218. The early foundations had promised more. 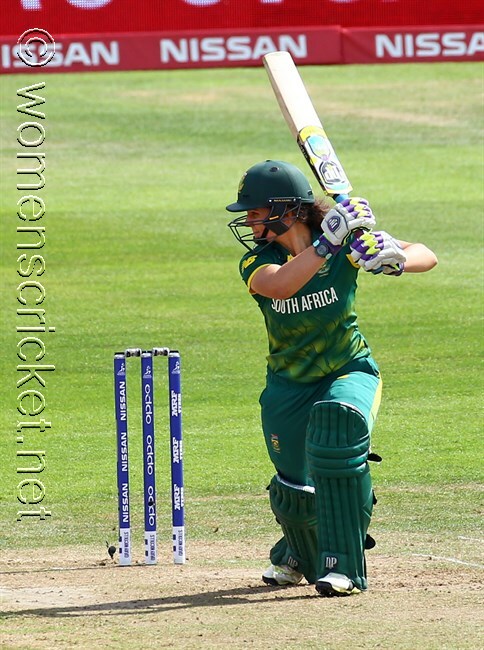 Mignon du Preez provides the backbone of the innings with 76 from 95 balls. 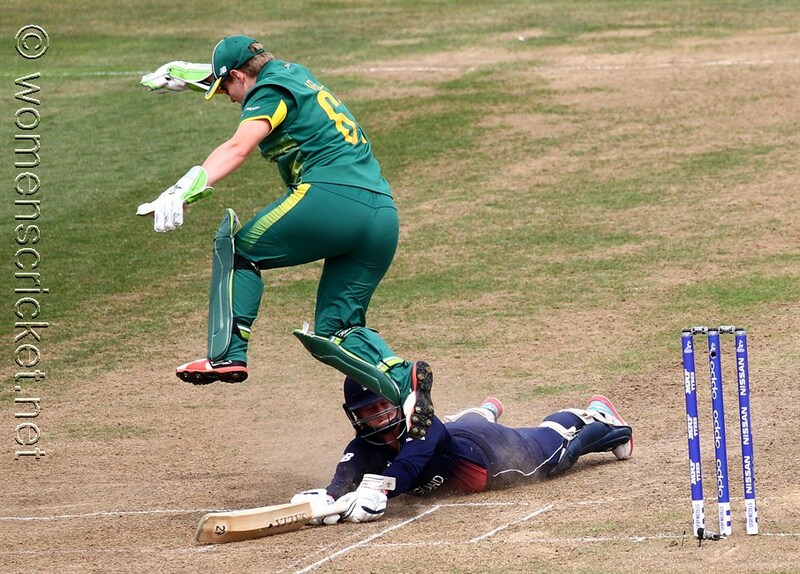 I should add at this point that my sympathy goes out to South African keeper Trisha Chetty. It became obvious she was feeling very unwell, popping pills later in the match and even obliged to give up the gloves for a few overs during England's innings. To battle ill-health in such an important match shows both courage and character. 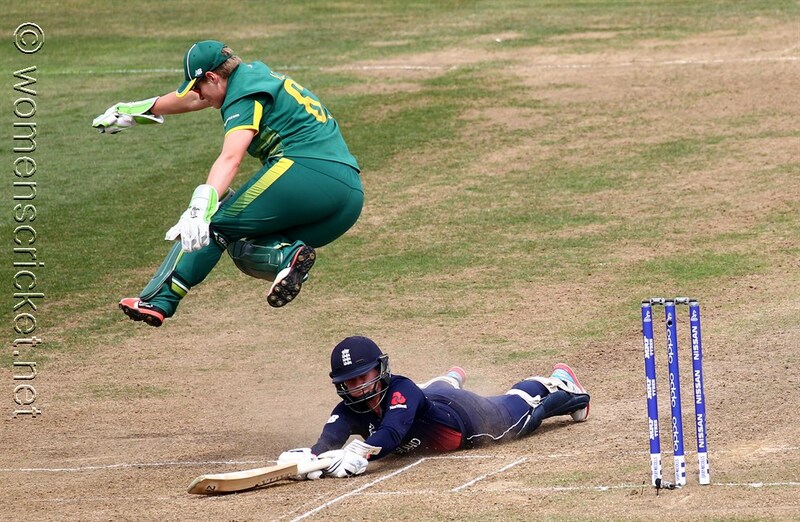 Throughout the South African innings it seemed the batsmen became frustrated when tied down and instead of searching for the singles - and gaps, particularly on the leg side, were often in evidence - seemed to look for boundaries that tight bowling simply meant weren't there. 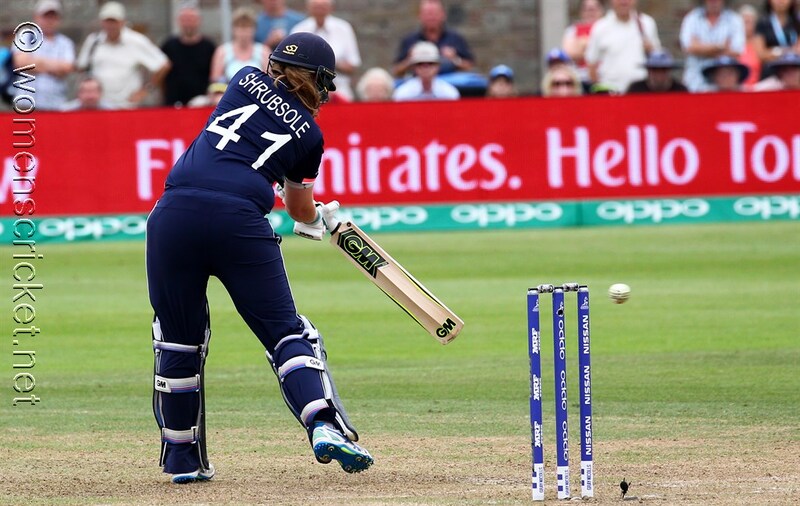 England's innings started no better than the South African one had done with two batsmen falling early, but Sarah Taylor, showing once again that she must surely be the finest bat in the women's game, came to the rescue with a characteristically stylish 54 from 76 balls. Once more a top-order batsman had steadied the ship. However, instead of just one major contribution thereafter, the England batting line-up made a number of valuable additions throughout without anyone taking full command. 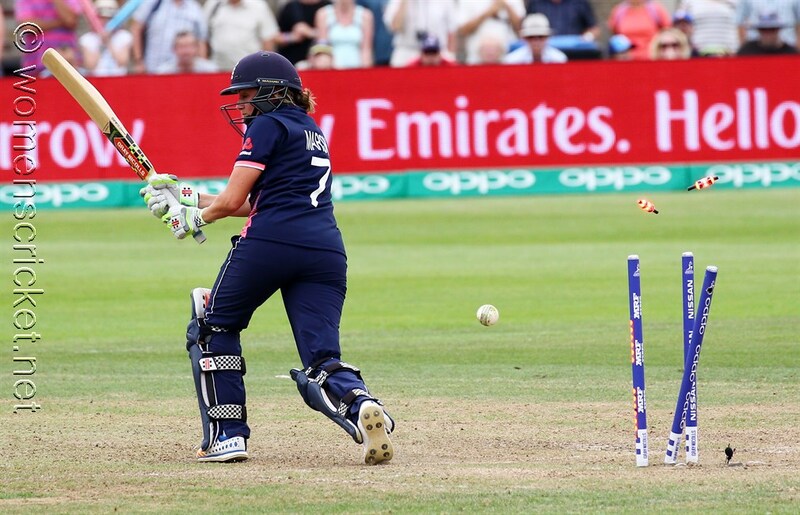 Only Nat Sciver, bowled in quite amazing fashion around her legs by Sune Luus when no leg stump appeared to be visible, and Laura Marsh, failed to get to double figures. 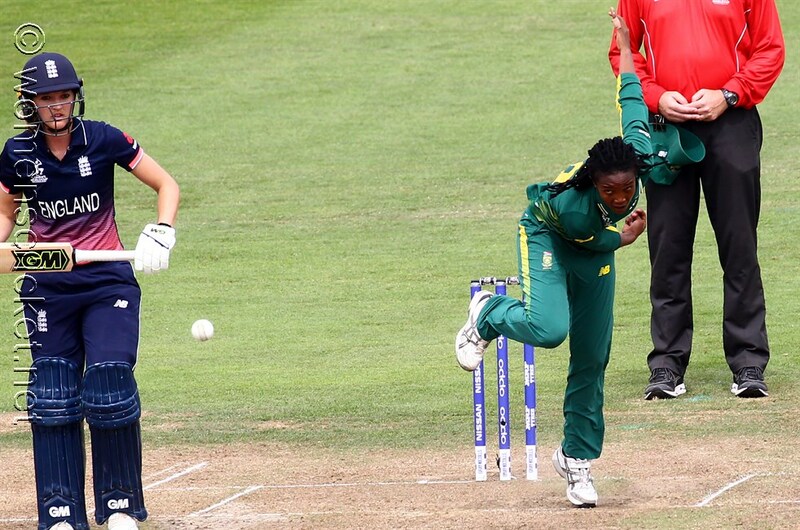 Special mention must be made of birthday girl Ayabonga Khaka whose 2 for 28 off a full 10 overs was a fine achievement bowling against once of the world's top batting sides, only one wide being given away in that total. Ayabonga Khaka represents South African on her 25th birthday. As the tension rose towards the end and the question became who will hold their nerve, a glance at the scoreboard told the story of why South Africa didn't have this game in the bag at this stage. 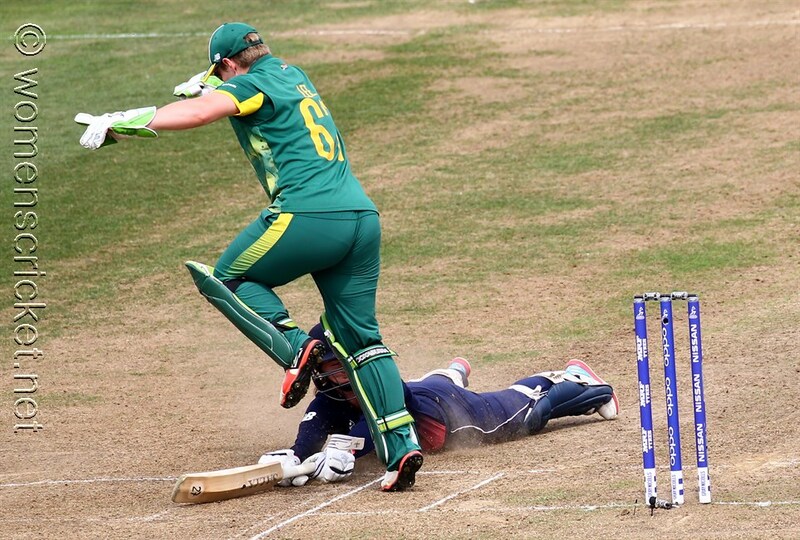 25 extras had been conceded (there were no leg-byes) while England had ceded just 4. What a difference 21 runs might have made! 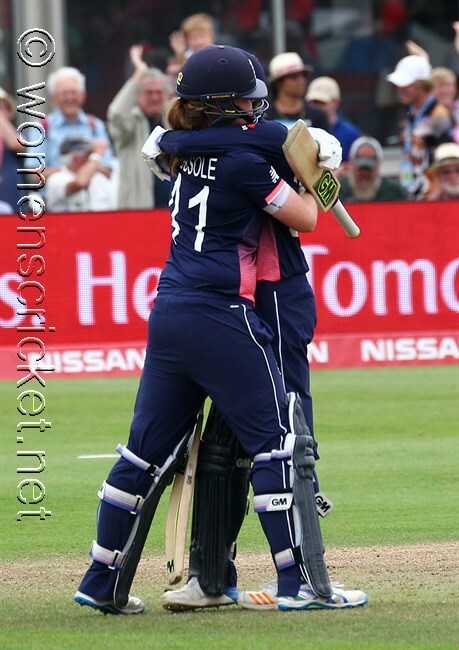 In the end, with just 2 balls to spare, it took the experienced head of Anya Shrubsole to settle the matter with a blow to the boundary on the first ball she faced. It was the answer of a consummate professional. That there were tears from the South African captain in the Press Conference that followed was not surprising. There were more in the dressing room she confided, and it could hardly have been different. South Africa had come so close to upsetting the established order. It is this achievement that, in my opinion, means they can fly home with heads held high. They put in a fine performance that day and, while they may rue the 21 run deficit in extras, the team as a whole has nothing to chide itself for. Playing beyond the general expectations they pushed top of the table England to the very end, and so very nearly over the cliff. It is a shame the organisers have not seen fit to arrange a match between South Africa and the loser of the second semi-final for a 3rd place. It would have provided cricket of the highest quality. While England continue to Lord's to meet either Australia or India, I have no doubt South Africa will be back and I, for one, contemplate with pleasure the thought of watching Wolvaardt, du Preez, van Niekerk and company once again.